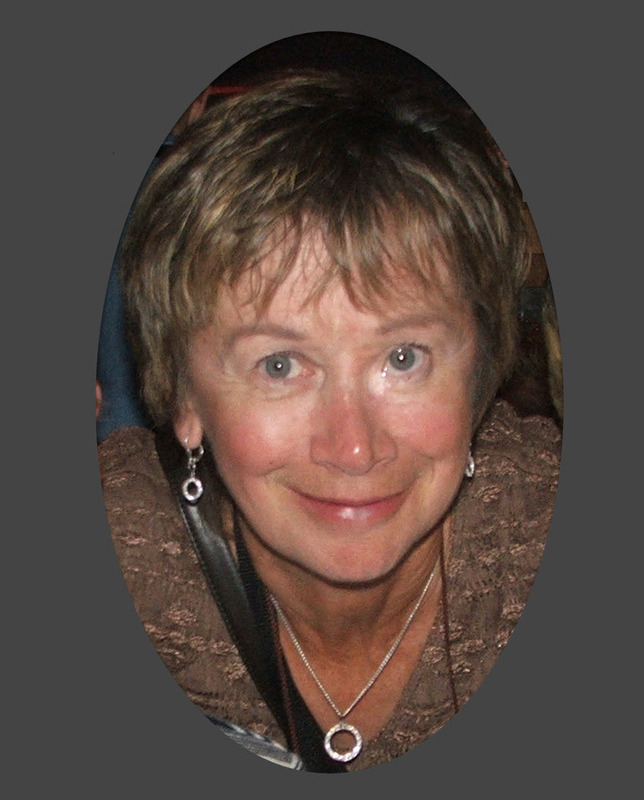 It is with great sadness that we announce the passing of Bernadette LeBlanc, aged 70 of Belle Cote on March 29, 2019 at Inverness Consolidated Memorial Hospital. Bernadette had the extraordinary gift of connecting easily with people and making everyone feel special. Born the youngest of 8 children in Grand Étang to the late Johnny and Annie (Doucet) Burns, Bernadette moved to Toronto at the age of 16 and met her husband, Art LeBlanc of Belle Cote shortly thereafter. Art and Bernadette had the pleasure of celebrating 50 years married this past December. Bernadette was a warm, fun and nurturing mother and raised two daughters, Leanne (Jamie) Skinner and Kendra (Clarence) Pickett with so much love and joy. Bernadette loved being a grandmother and she was so very proud of her five grandchildren: Alex, Aidan and Kyle Skinner; Grace and Katie Pickett. Art and Bernadette retired back to Belle Cote in 1998 and enjoyed a happy retirement, spending many wonderful winter months in Arizona. Despite many health complications throughout her adult life, Bernadette always maintained a positive outlook and a grateful attitude. Bernadette is predeceased by siblings Lucy Dora (Clovis) Aucoin, Lionel (Marie Stella) Burns, and Thomas (Antoinette) Burns. She is survived by siblings Loretta (Joseph Edmond) Aucoin, Alex John (Mary Louise) Burns, Velma (Paul) LeBlanc and Roger (Mary) Burns. She is beloved by her many nieces and nephews as well as innumerable close friends throughout Cape Breton and across Canada and the United States. Visitation will be held on Friday, April 5th from 9:30am to time of funeral mass at 11:00am St. Michael’s church in East Margaree with Father Macdonald Ibeh officiating. In lieu of flowers, donations can be made to the Inverness Consolidated Memorial Hospital, attention Oncology Cancer Care. A very big thank you on behalf of Bernadette’s family to the many compassionate doctors, nurses and other health care professionals involved in her exceptional care. Art and family, so sorry to hear of Bernadette’s passing. She was a courageous individual. It was a pleasure to know her. Our thoughts and prayers are with you during these difficult times. Bernadette fought a courageous battle and was a great inspiration to us all! She will be missed. May she Rest In Peace. She was a wonderful and warm person who will be greatly missed . Thinking of you all and sending hugs and prayers xoxox . This is a lovely tribute to your Mom and Grandma. How wonderful to have a loving marriage for 50 years. They have set an example for the younger generation who have watched them and are taking note of how to appreciate and care for your family, even in the darkest times. Thinking of Art and Bernadette and the stories you have told us of their unwavering support of each other warms my soul today. Our thoughts and love are with you and your family. Our hearts go out to you during this difficult time and we are so sorry for your loss. May your Mom rest in peace. Our thoughts and prayers are with you, your Dad and whole family. Art, Kendra, Leanne and families – our sincere condolences at this difficult times. She was a wonderful woman and we are all blessed for having her touched our lives. You are in our thoughts and hearts. Our deepest condolences on the passing of Bernadette who was such a kind , caring and courageous lady. She was an inspiration to all. May the love of family and friends bring comfort to you all and help you through these very trying times. My deepest sympathies to Arthur, Leanne, Kendra, Loretta, Velma, Alex John, Roger and all their families. R.I.P., Bernadette. My deepest sympathy Art and family. She was a wonderful lady. Cherish the memories !! Chers Art et famille, j’aimerais avoir les mots pour attendrir votre peine. Bernadette etait une femme extremement forte, genereuse et avait un sourire contagieux que je n’oublirai jamais. Je vous garde dans mon coeur et mes prieres. Art, sincerest condolences to you and your family. She was such a fine lady. She is now at peace. Our sympathies to Arthur and Bernadette’s family. She was a great lady. We are so sorry to hear of Bernadette’s passing. Our thoughts and prayers are with all of you during this difficult time. Sorry for your loss, your mother was a very special person and friend. To my sister Bernice she was her other sister & closest friend. She will be missed!! I am only hearing this news just now. So very sorry for your loss of a beautiful soul. Bernadette was a lovely lady and I enjoyed seeing her at all the fiddle functions at home. She will be missed and my thoughts go out to you all. We send you our sincere condolences. We had the opportunity to meet your Mom during one of her visits to Waterdown. Her love for her family was so very evident and her smile was contagious. She will no doubt be missed. Please let us know if we can help. Sincere sympathy to Art and family. Bernadette was a lovely lady and will be missed . You are in our thoughts and prayers. I am si sorry to hear of Bernadette’s passing I enjoyed the many poker games we played while she and Art were here in Lake Havasu.. my condolences to you, Art, and the family..
All my sympathies to Arthur and all of Bernadette’s family. She was a special lady, small but mighty. Art and family; I was saddened to learn of Bernadette’s passing. I’m sorry I won’t be able to attend the service but you all have been in my thoughts and prayer the past few days. Her compassion, smile and will to live was an inspiration to all who were graced by her presence. Our deepest condolences to you, Arthur & all your family. We loved how Bernadette remained so positive despite everything she went through. Her smile would light up a room! Hope the love of friends & family help you to deal with the loss of your loved one. Art and family, Gus and I send our love and condolence to you all. Bernadette was a sweet and gentle lady who certainly is an angel in heaven. You will be in our thoughts and prayers. My sincere condolences on the passing of your Beautiful Wife Bernadette,she was a lovely women. Everyone who knew Bernadette was privileged to have this wonderful person in their life,she was always up for a good game of crib ,loved to entertain her friends with her delicious meals accompanied by a carefully chosen wine. Sadly and dearly missed .Bernadette will live on in the Hearts of all who knew her. We send our heartfelt sympathies to you both, the entire LeBlanc family and especially to your dad. Our thoughts and prayers are with you all. May eternal light shine upon your beloved mom and may she rest in peace. I am Jennifer Williams dad. I am so thankful for the wonderful friendship Jenni shared with Bernadette. I heard so many good stories from Jenni about Art & Bernadette, and the kindness they showed my amazing daughter. When your child is so far away from you, it is comforting to know there are people who love her and care about her well being. Sue Mike Jess and Mikayla. Our thoughts and prayers are with you all at this very difficult time. May your memories bring you peace and comfort now and in the days to come. We were very sorry to hear about your loss. My heart breaks for you all. Sending you love and strength at this most difficult time. NOTICE: All fields are required. Condolences are held for review by Cheticamp Funeral Services staff. Condolences are reviewed and published twice per week. Your email address will not be published. Please select how you would like Cheticamp Funeral Services to handle your condolence. Send only to the family. Send to the family and publish on this website. The SUBMIT button will remain deactivated until the “I’m not a robot” security feature has been completed.